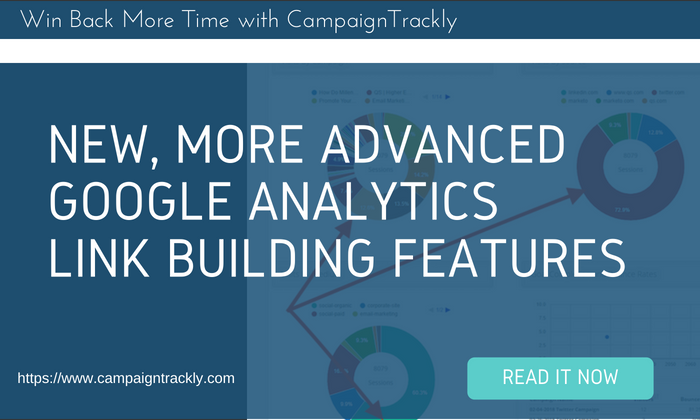 We are pleased to announce that we have now added a host of brand new Google Analytics Link Builder Features to CampaignTrackly. You can now separate your campaigns by categories. 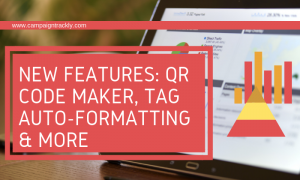 Whether you are building affiliate links, direct sales campaigns or seasonal promotions – you can now group them into categories for easier review and monitoring. Available as part of our all-inclusive package for our Enterprise customers (5+ users), our API will enable you to transfer virtually all the data you have compiled into CampaignTrackly, live, to your internal systems or databases. Contact us at support@campaign-trackly.com with questions on how you can get started today. 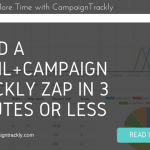 If you are a 3-member team needing to use our API, please contact us at support@campaign-trackly.com, so that we can discuss additional charges associated with the use of this feature. Available as one-way integration, the Zapier connection can be used to connect some of our outputs into your mail systems or Social Media tools. 4. Bulk-paste or Upload Custom Tag Sub-segments. We have had quite a few requests to add sub-segments to custom tags. And now you have it! 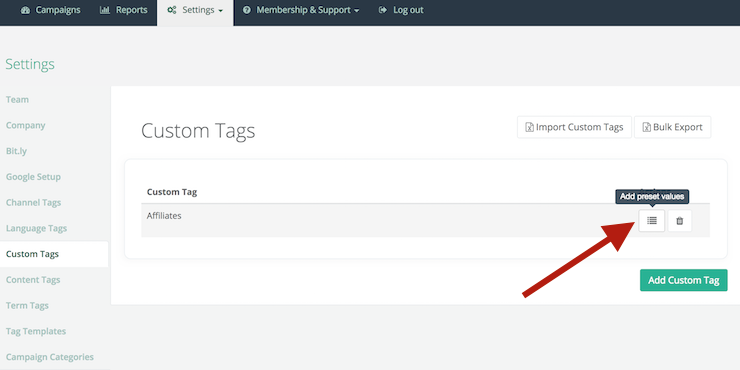 You now have the option to add multiple sub-segments to your Custom Tags. For example, you can create a Custom Tag called “NA affiliates” and add the States or even cities of your affiliates with a single paste or bulk-upload. When you are creating your campaigns, you can then choose these options from the drop-down available to you to save even more time. 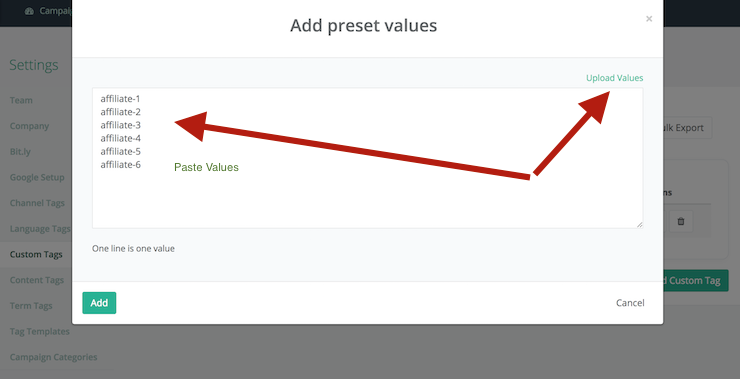 You have the option to either paste your values or upload them via a one-column csv file. Following multiple requests to enable you to use the full-featured link generation feature when editing existing campaigns, we enabled this for you now, so that you can easily use the available automation features to add more links t your existing campaigns without having to type manually any of your tracking UTM or custom values. 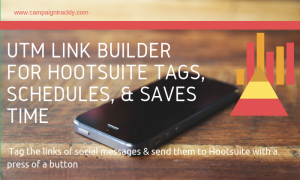 Although our tool was primarily built for Google Analytics UTM link building, we can now offer customers using Adobe Analytics tagging capabilities as well. 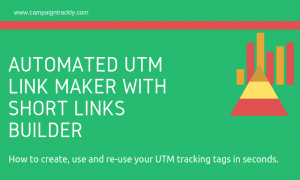 Upon request, we can remove the UTM tags from your set up and can give you full reign on your custom variables, so you can build links for your needs based on your Adobe Analytics construct. 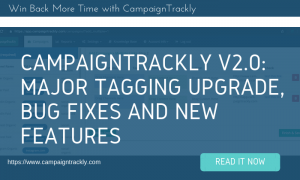 We are really excited about the new stuff that we have been developing here at CampaignTrackly. We hope you share our excitement and use the above features to win back more time and enhance your tracking and reporting. We have a huge and exciting list of features that we will be working on this summer, so if you have any special requests or features you want to have, please do not hesitate to contact us at support@campaign-trackly.com. Looking forward to hearing from you.